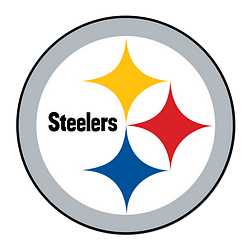 The 2016 Pittsburgh Steelers were the best team in their division by a lot. Their 11-5 record gave them 1st place in their division and a playoff berth, where they defeated the Miami Dolphins and Kansas City Chiefs before losing in the AFC Championship to their ongoing foes of Tom Brady and the New England Patriots. A good number of the Steelers’ seasons have ended with a loss to the Patriots and going into the 2017 season, they really wanted that to change. Their top to picks in the draft were linebacker T.J. Watt, younger brother of NFL beast J.J. Watt, in the first round and wide receiver JuJu Smith-Schuster in the second. Other than drafts and a few low level signings/trades, the team stood pat going into the new season. You can’t knock a 13-3 season where they pulled even further away from the rest of the teams in their division. Their only regular season losses came against the Chicago Bears, Jacksonville Jaguars… and the Patriots. Two of those losses came with in the first five games, meaning they won 10 of their last 11. And the loss to the Bears was in overtime. The team got exceptional play out of both Watt and Smith-Schuster. Quarterback Ben Roethlisberger continued to play on a high level and had the longest pass play from scrimage (97 yards). Running back Le’Veon Bell had career highs in carries, rushing touchdowns, and receptions. The good news is the team’s playoff run did not end with another loss to the Patriots… it ended in the divisional round to the Jaguars 45-42 in a game where the defense for both teams appeared to have forgotten to go to the stadium. Where last off season was about standing pat and adding depth through the draft, the team has bigger concerns this time. They have to resign Bell or find another runningback, figure out what they’re doing with wide receiver Martavis Bryant, keep an eye on Ryan Shazier‘s recovery, and figure out how to beat the Patriots and Jaguars next year. And at some point they will need to figure out their future at quarterback. Roethlisberger has committed to coming back for 2018, but he started talking about retirement before 2017, so you know it’s on his mind. He may be hoping to do a John Elway / Peyton Manning and win one more Super Bowl and call it quits. If they can resign Bell, the Steelers have the team capable of doing just that.